Home People BODCharles Thomas, Jr.
Charles is the Pacific West Regional Manager of Youth Programs for the National Park Service where he is responsible for establishing strategic youth engagement initiatives in six western states and 59 National Parks. In this position he also manages $4,000,000 in congressionally appointed funds to support youth outreach programs throughout the Pacific West Region. Charles is a passionate advocate for diversity and a strong proponent of educational equality. His devotion to this cause is evident today in his tireless efforts to ensure all youth have access and opportunity to engage in meaningful nature-based programs through his consulting work and his position with the National Park Service. Charles is a man with a long history of firsts. 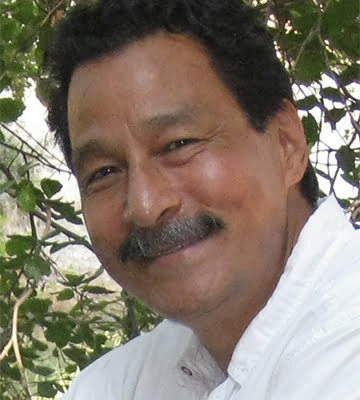 In the early eighties he was the first person of color in the history of Southern Oregon University to graduate with dual degrees in Physical Geography and Environmental Studies. He is also credited with assisting the U.S. Forest Service in the state of Washington in designing a program to recruit African-American students into seasonal employment positions in the Gifford Pichot National Forest. As a naturalist for the Los Angeles County Outdoor Schools, Charles wrote the section of the staff handbook on “how to work with ethnically diverse students.” Later, as an ecologist for the U.S. Army Corps of Engineers, he was honored by the Federal Equal Employment Opportunities Commission for designing a program that introduced urban youth of color to the environmental work of the Army Corps. Charles holds the distinction of being the City of Pasadena’s first Environmental Affairs Coordinator, managing the largest environmental restoration project in the city’s history. In addition, he is the principal author of Pasadena’s Environmental Charter, a document used to guide the city’s development and environmental initiatives. Much of his life work has revolved around Outward Bound Adventures (OBA), where Charles worked seasonally and part-time for nearly 20 years, and worked full-time as Executive Director of the nonprofit for 16 years. During that time he created several award winning programs dedicated to enriching the lives of underserved urban populations, especially high-risk youth and their families, by introducing them to the therapeutic value of spending time in wild places and open spaces. Charles is the recipient of numerous awards and recognition for his work–he has been a White House invitee, honored by his Congressman, honored by the State Senate, County Board of Supervisors, Board of Education, City Council and honored by numerous community based organizations.